The most recent flooding in India, Napal, and Bangladesh has been exacerbated by River barrages and flood "defence" embankments built along the river floodplains, particularly the huge Ganges river system. These barrages have also caused huge environmental impacts such as erosion, desertification, siltation, and loss of farmland and environmental habitats including huge impacts on fisheries in areas where people rely completely on being able to grow and catch their own food. As the flood waters have backed up behind the barrage structures, the river banks either side have been seriously breached and flooded huge areas of land. The Kosi barrage was itself breached too in recent weeks, causing further devastation downstream. 'Over 3,465 km of embankments have been built as a flood-control measure in Bihar since 1952, and more embankments are in the offing. 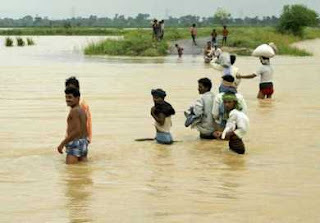 When will government realise that it is the embankments themselves that are responsible for Bihar’s recurrent floods? See Missing the River for the Dam and Abandoned Victims of the Kosi Embankments. The havoc was reportedly caused by the gates of the Kailashpuri barrage (on the Ghagara river) not being opened. See What is Flooding the Koshi Barrage and Nepal Blames India for Fresh Flooding. On Sept 5: 'Engineers working at the Kosi Barrage in Nepal have said that the river would continue to change its course if heavy silt deposits are not removed... the river has breached its embankment 8 times in a span of just 50 years and government officials as well as the engineers are being blamed for the catastrophe said to largely manmade.' See News Track India. Meanwhile, Muhammad Javed Iqbal has recently pointed out the ongoing devastation caused by the Farakka Barrage to huge areas of India and Bangladesh along the Ganges basin, which has caused desertification, massive erosion, and huge siltation problems along the Ganges basin. This particular barrage was built to supposedly SOLVE problems caused by earlier barrages along other stretches of the Ganges huge river system, but has of course made the problems considerably worse - and not just for the environment as over 20 thousand people been made homeless by the unforeseen consequences of the Farakka barrage, and two rivers 20km downstream of the barrage, which used to be 3 km apart 10 years ago, are now only 750 METRES apart, and are likely to merge and cause even more havoc. Councillor Jack Davenport (Lab) called for council leader Ken Hudson (Con) to chair the Preston Vision Board Limited with Labour leader John Collins also a member. But the move, which was narrowly defeated in the City Centre Committee by a vote of 6 to 5, would have gone against North West Development Agency rules which say that the Board needs to be headed by a private sector figure. However, the structure of the re-vamped Vision Board is unlikely to address the concerns of local residents. Councillor Collins said that the Vision Board, with only one Preston Council member, would have “a democratic deficit”, while Matthew Brown (Lab) said a private sector chairman would have a “conflict of interest”. Councillor Davenport said “we need to be more enthusiastic about democratic accountability, otherwise every project that comes up is going to be met with scepticism”. But what the private sector calls politicking we call democratic accountability and ensuring the interests of local people are protected. Local residents are unlikely to be persuaded by Jim Carr’s comment that Preston Vision Board was not a decision making body – decisions would be made by the cross party City Centre Committee. Preston City Council is clear that it wants to attract investment into the City and Jim Carr believes that “when it comes to attracting investment we need the best people and the best people are the private sector”. This may be so. But what local residents question is whether the private sector is always going to act in the interests of local people and of our environment when businesses could stand to make huge profits from Vision Board projects. 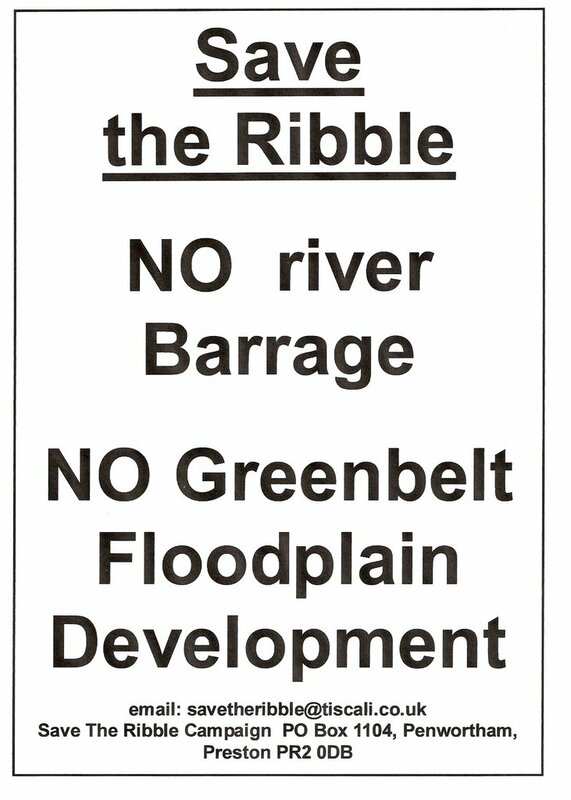 Given the recent track record of the Vision Board in promoting deeply unpopular projects such as the Ribble barrage and associated building on our Green Belt, and the proposed re-vamp of Winckley Square and the Flag Market, the answer to this question is surely no. 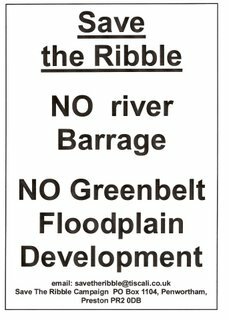 And considering the Vision Board's continued interest in developing the Ribble corridor with cafes, restaurants, businesses and homes (Revitalised riverside or developers dream? )local residents would be right to continue to be highly sceptical of Preston Vision Limited and its projects. The private sector will of course have a role to play in the future development of Preston. But it is clear that the interests of business must be kept in check by the process of democratic accountability if the interests of local people and our environment are to be protected. Preston City Council has announced that it wants to recruit a senior figure to overhaul the much criticised Preston Vision Board (LEP 29/8/08 Search for think tank supremo ). Councillors have been asked to back making the Board a limited company known as Preston Vision Ltd to give it more clout and make it more accountable. Local residents have frequently expressed concerns about the Vision Board's lack of accountability and failure to represent the views and aspirations of the local community. And this failure to consider the needs of the local community and environment has resulted in the Board limiting its Vision to plans which serve the needs of developers and simply further the oft repeated but fundamentally un-ambitious mantra of Preston achieving “Third City” status. More recently the Vision Board's plans for the historic Winckley Square in Preston have caused a storm of protests amongst local residents. 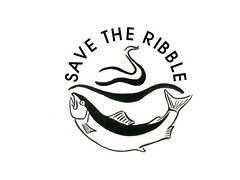 While plans to barrage the Ribble were shelved as a result of the opposition of local residents and environmental organisations the Preston Vision Board continues to view the Ribble as a “tremendous asset” and wants to press ahead with plans to develop the river corridor with cafes, restaurants and homes alongside the river (see Revitalised river or developer's dream? ) 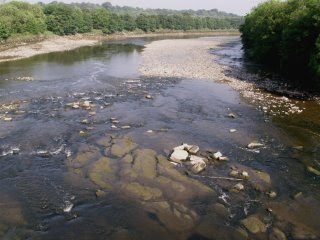 But the Vision Board's “dream” for the River, as espoused by its chair Malcom McVicar, continues to betray a lack knowledge and lack of respect for the River Ribble, the riverside area, local communities, and all of the environmental strategies directly connected to the River Ribble itself as well as to broader biodiversity and flood management issues. Unfortunately, turning the board into a limited company is unlikely to do anything to encourage a change in its direction or its already limited vision. Opposition leaders on the Council have expressed concerns that the Preston Vision Board would be led by an “unelected” supremo if it is turned into a limited company and could become a “self-satisfying group for old boys networking” (Concern over unelected think tank boss). It is unclear exactly how turning the Preston Vision Board into a limited company will increase its accountability to local residents. And other than the requirement to submit audited accounts to Companies House it won’t be subject to any increased public scrutiny either. Neither should we expect the newly appointed (and no doubt highly paid) executive to have the views and aspirations of local people or protection of our local environment as his/her priority. Indeed, the City Council is clear that they want a new high profile executive “who can relate well to the private sector and negotiate with potential developers with the aim of attracting entrepreneurs into the city.” (see LEP Search for think tank supremo ). As long as Preston Vision Ltd continues to address the needs and interests of private sector developers before considering the aspirations of local residents and the needs of our local environment it will continue to deliver more of the same limited vision for the future of our community. We were amused to read Barry Freeman's 'View from Here' in the LEP on 4/9/08 in which he pours scorn on the latest attempts to revamp the Vision Board by "shovelling more public brass into an executive salary trough", saying that calling it Preston Vision Ltd is "an unwittingly great name which explains an awful lot". He says that there is "something increasingly Alan Partridge" about Preston City leaders' aspirations to achieve Third City status. We tend to agree. 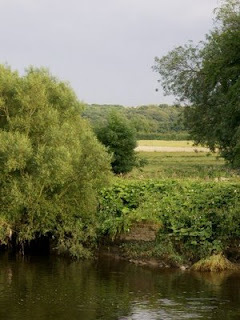 Ok, so this summer is pretty much a washout again, but when the sun does shine, grab your shoes and head down to the Ribble - or grab your brolly and go anyway because the Ribble is beautiful whatever the weather! 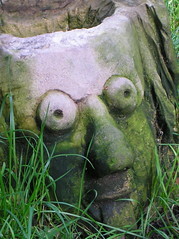 - a Herbal Health Walk. They are meeting at 2 p.m. at the new Avenham Pavilion, which is looking pretty much finished now, down by the river. Most of the Preston Society talks take place at St. Mary's Church Hall, Cop Lane, Penwortham, (100 metres from the Liverpool Road traffic lights near the Fleece Inn) but a few are in an alternative venue further down Cop Lane. "Gravel to Grebes" - How Brockholes Wetland is coming along! "A Year in Bowland" - yes, Bowland wildlife and Ribble wildlife are often connected, from breeding Lapwings to the Harriers who breed on Bowland but hunt the entire Ribble corridor - and beyond! - another must-see, but make sure you also get down to Marshside in person too! plus many other talks on "Waterworld", "Migration", and various Birdlife and Wildlife from local, national and international perspectives. Happy Ribbling, wellies and all!